The Multi-talented and versatile actor Rajkumar Rao has always won our heart with his on-screen performance. The actor has a huge fan following and the number keeps growing. From Shahid to Shadi Mein Jarur Aana the actor's remarkable performance have shown his potential and dedication towards his work. The Bareli Ki Barfy star Rajkumar is also a 'Rajkumar' (King) for his lady love Patralekhaa and he has proved it always with his adorable gesture. He wished his girlfriend on his Birthday and it was too cute that we loved him for his adorable wish for her lady luck. His Jumma Chumma moves with her is damn cute!! We are loving them. And the loving BF Rajkumar has done it once again that have made us fall for him once again. It all happened when a leading daily tweeted a collage of the cute and made for each other couple and captioned it in the way industry knew. 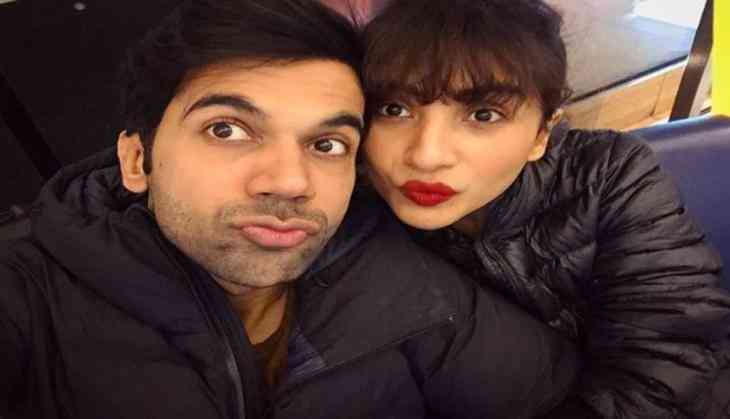 The daily tweeted, Some Super adorable photos of @RajkummarRao and his girlfriend Patralekha. The daily didn't tag her in the tweet and only referred her to his GF in the tweet. This adorable exchange of love made netizens fall for him and Twitter flooded with love for him. But the point you didn't get is the feminist one he made. Notice the way he wrote the caption/PC? That's what makes him a true man! That's what makes him endearing.